Robots are coming for your … milk cartons. Or, if you work in recycling, possibly your job. Chicago-based Lakeshore Recycling Systems recently became the first company in the U.S. to install a new “self-aware” machine that uses artificial intelligence to sort through recycled materials. 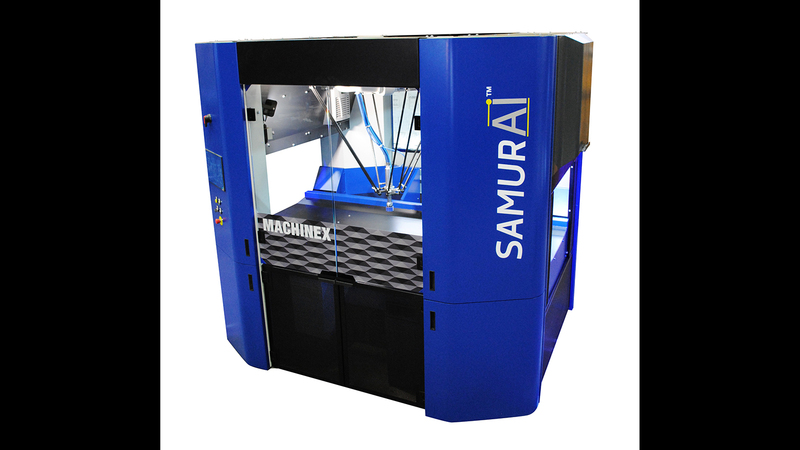 The SamurAI sorting robot, manufactured by Canada’s Machinex Technologies, is programmed to recognize rigid objects such as plastic bottles, containers and cartons. Once it identifies an object to be picked up, the machine uses a suction cup to grab the material and drop it into the correct bin. Lakeshore implemented one of the robot sorters last month at its recycling center in Forest View, just off the Stevenson Expressway. According to industry publication Waste360, the company has ordered two additional robots. Each of the bots will reportedly replace two full-time staff members and translate to about $120,000 to $130,000 in annual savings. “We are now able to sort, separate and allocate recyclable items more quickly than before,” said Lakeshore CEO Alan Handley in a statement. Handley told Waste360 that so far, the robot’s success rate is about the same as that of a human sorter. But the bot is designed to get better at sorting through recyclables the more it’s put to use, and Handley said he expects the robot to improve as it learns more about the materials recycled at the facility. The recycling center is one of the spots where Chicago’s recycling goes to be sorted and separated. Companies like Lakeshore then sell the recycled materials to other companies that make use of the recovered glass, metal, paper and plastic. Chicago Tonight toured Lakeshore’s recycling facility last year as part of its series, Tracking Chicago’s Trash.